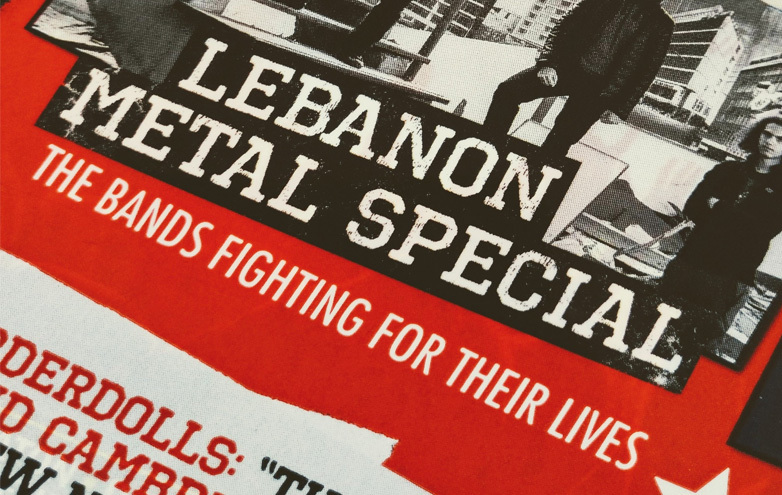 Without too many spoilers, the feature mostly explores the conditions and challenges that Metalheads experience in Lebanon, from the lack of a market and specialized Metal recording studios and rehearsal places, to the lack of support for musicians as a result of the negligence and ignorance, and even shedding light on issues of prejudice and prosecution due to clashing social and religious values. 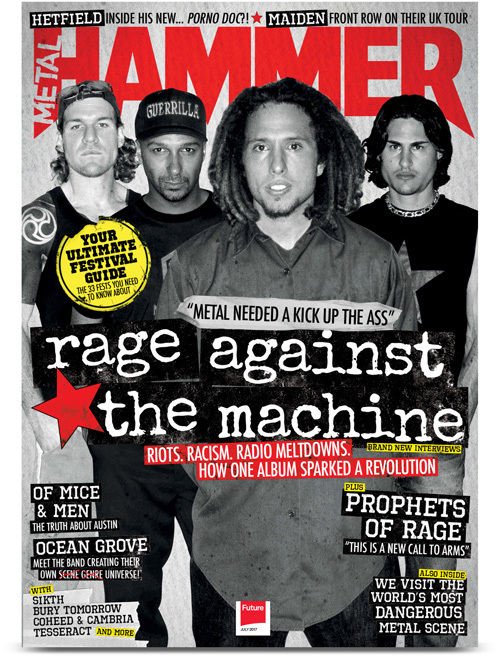 Writer Tom O’Boyle was spot on in his analysis of Lebanon’s socio-political status in the Middle East with its corruption and various life struggles which makes Metal a natural outlet and tool for the youth to let off steam, express their opinions for change and fight oppression and injustice. 1. What can you tell me of your background, your experiences of growing up in Lebanon? How hard is it to be a metalhead living there? How does Lebanese society influence the metal being written/performed there? I grew up in a city called Byblos which is on the Mediterranean 35 km north of Beirut. It’s a touristic family-oriented place which is way different from big crowded cities like Beirut and its suburbs. 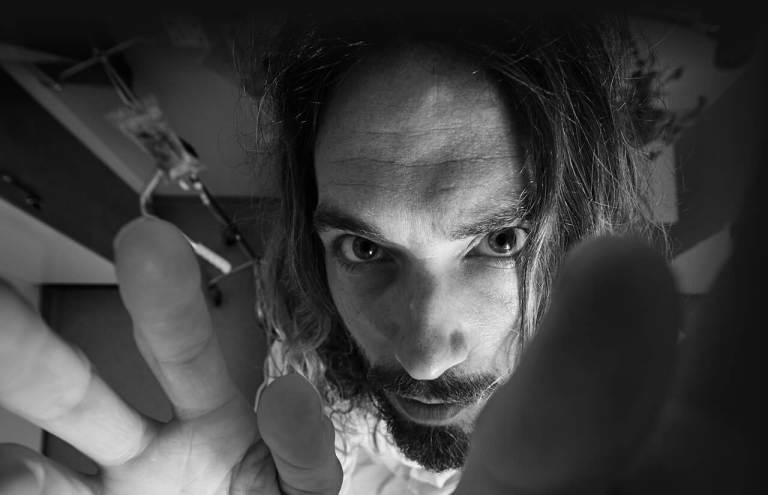 I became a Metalhead around when I was 12, and it was definitely due to the music’s immense energy and its lyrical themes, which I gradually began using as an outlet to all the frustrating experiences that I had in a country with constant political turmoil and a conservative social attitude. To me being a Metalhead was not a lifestyle I adopted but something that fit itself unto me because it vigorously talked about all the topics that I was experiencing, like war, injustice, corruption, and the abuse of religion and power. In that sense, it’s too easy being a Metalhead in Lebanon since all the ingredients are there. On the other hand, it is definitely hard because as soon as you start looking like a Metalhead, you start encountering all kinds of prejudice and discrimination. It could go anywhere from being dubbed as Satanists, druggies or simply washed-up losers. Following the international Metal community is also hard: I once ordered a used Slayer CD from an online forum in the U.S. and weeks later I received a note from the Lebanese Customs that my CD was confiscated because it promoted Satanism. Online stores like Amazon and Ebay don’t ship to Lebanon and Paypal doesn’t allow users from Lebanon to create accounts, so the online part is frustrating to say the least. On the other hand, Metal concerts are not prohibited by law so as a Metalhead you could attend gigs and play Metal music, so overall it’s not that hard. The Lebanese society does influence Metal music here but it mostly depends on the subgenre I’d say. Bands which play Gothic Metal / Doom Metal are going to talk about global themes like romanticism, loss, drama, life and death, while Heavy Metal / Thrash Metal bands will definitely draw influences from local socio-political topics. All in all, society here gives you plenty to talk about, and bands certainly tap into that because fans can relate. 2. 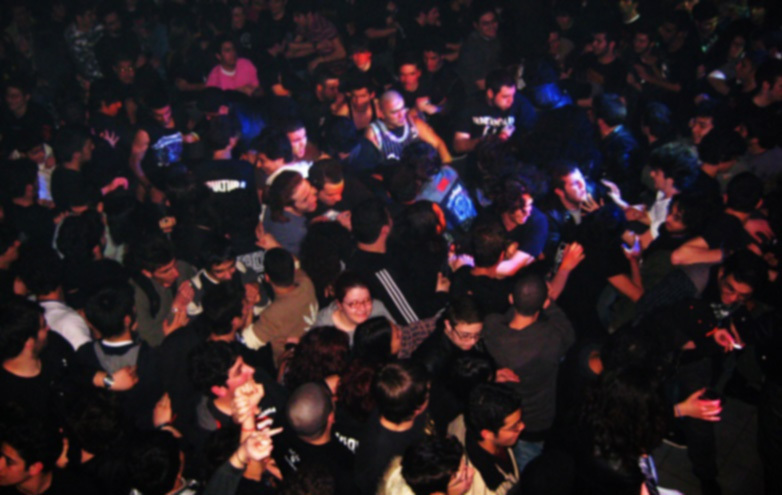 Is there a cohesive metal scene in Lebanon? How has it changed over time? I would say it is cohesive mainly because it simply cannot survive otherwise. It’s a small scene, everyone needs to cooperate and you often find that music organizers, press members, bands and fans often take multiple roles for the scene to move forward. Metalheads do not care about social and political differences that are at the core of the “Lebanese disease”, so I would go further and say that the Metal scene in Lebanon is more cohesive than the country itself. In its early days and before the internet explosion, the scene was more underground without the exposure from social media. Talking to many Metalheads who are older than I am and witnessed the early days, they told me the scene was more passionate, events mattered more, the whole thing was novel, people would go crazy hearing their favorite Western Metal bands being covered live by their friends. They also told me the scene was more loyal, but I would say this hasn’t changed that much over the years. It’s just that now fans are tired from hearing the same old covers and want to hear something new, exciting and unique. This is a positive change which has been shifting bands’ focus to composing and recording music rather than simply being capable of playing their instruments. 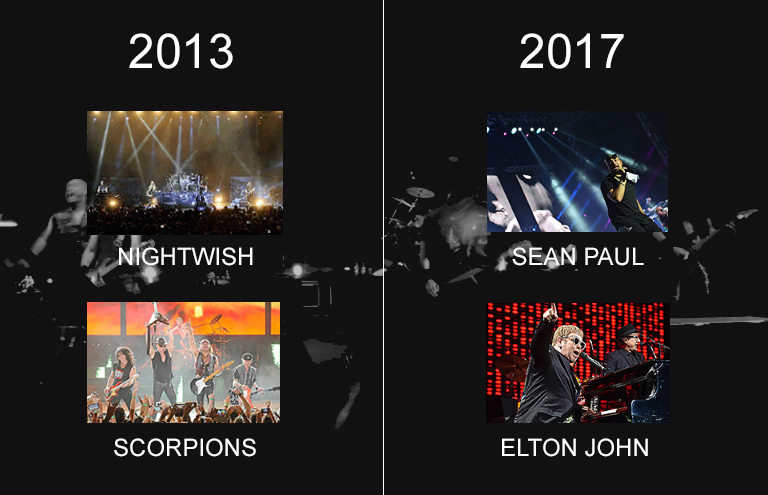 The only challenge over time to a cohesive scene is to connect the old generation of bands and fans with the new one, which usually happens around 5 to 10 years. Given it’s a small scene and all proper channels are already established and cooperating well (press, social media, music organizers, pubs), the scene will never die out. 3. What are your musical influences? How have Western metal bands influenced you/the scene? My musical influences changed over the years, going from bands like Metallica, Slayer, Kreator to Sepultura, Death, Cynic, Obscura, Bloodbath. 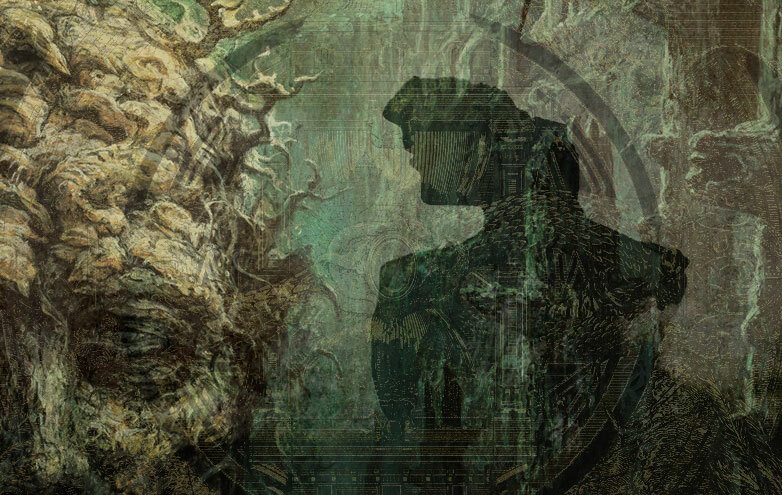 Over the last 6 years I have been more into Prog Rock / Prog Metal with bands like Opeth, Pain of Salvation, Leprous, Riverside, Mastodon and Beardfish to name a few. As a musician, I have been also influenced by Blues, Jazz, Indie Rock and Electronic music. Western Metal bands are without a doubt one of the biggest influences for me and probably the scene, at least when growing up and getting started with it all (both listening and playing music). Another major influence I suppose is Rock and Psychedelic music from the 60’s and 70’s like The Beatles, The Doors, Pink Floyd, Jimi Hendrix, etc. All of these influenced the scene in terms of setting the highest goals in terms of “making it big”, and they obviously completely alienated us from Arabic Pop music which is the most common/commercial here. 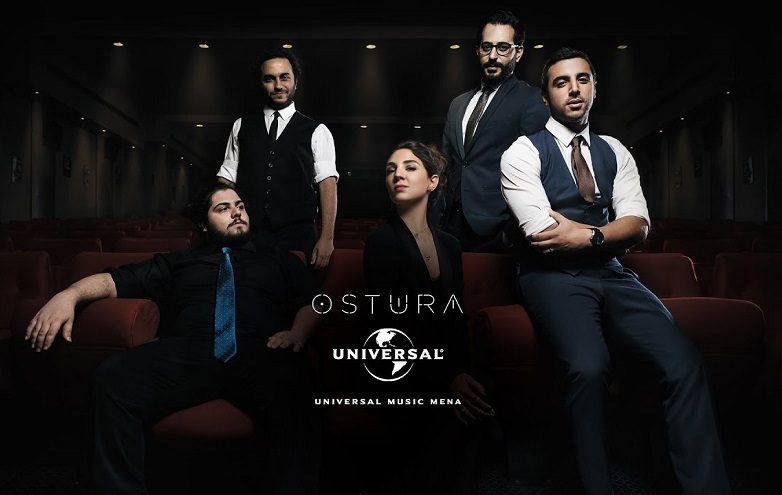 However, since some years now, there is a strong revival in either singing using the Arabic language or by fusing Arabic music roots with Rock / Metal. 4. Tell me of your experiences playing in bands. How easy/hard is it to be in a band in Lebanon? I played in 3 bands: KAIOWAS (2007-2009, Thrash Metal), HEADSTONES (2008-2009, Doom Metal) and ALAN ABI (2012-2015, Rock Fusion). Being in a band in Lebanon, it’s easy and affordable to practice at a nearby music studio that is well equipped with amps, drums, mics, etc. There are basically no official constraints/laws from the state, but of course Metal music, its bands and its fans can be faced with misconceptions and prejudice, which occasionally pops up on national TV in the form of “Satanic music worshippers”, “Angry people violently dance to loud music” or some other antireligious/antisocial propaganda. This has improved over the years but there will always be controversy/noise around Metal music. It is easy to land a small local gig if you had a 20-30 minutes set. The most common gig format had multiple bands in the lineup and occurred at least 2-3 times per month in small to mid-sized pubs. There were bigger concerts at large venues mostly in summer but those were harder to book if you were not one of the more established bands (been playing over 5 years). Most of the time you don’t get paid for playing or you get enough money to cover your practice / transportation costs, but that’s usually ok since Metal music is more of a passion than a career. Being in a small scene is the hardest part because serious bands releasing albums would not even recover their recording costs, especially without the possibility of a real album tour. Ultimately a lot of musicians bail out and focus instead on their careers as engineers, accountants, designers, etc, while keeping music as a side hobby. 5. How did Lebmetal.com come to exist? What were your reasons for setting the site up? How does the site support the scene? What are your ambitions? Back in 2009, I had been attending local gigs for around 7 years and had been playing in a Metal band for 2 years. After concerts, my friends and I would discuss how the bands’ performance was, and I found that critique helpful because bands (including mine) can get better by listening to their fans and to music enthusiasts regarding their performance. At the time, there were other music websites about the Lebanese Metal scene, most notably “Lebanese Bands” which had a great listing of all bands and interviews and “Metalje” which was mostly known as an online forum, but I originally wanted just to open a platform which posts clear event reviews by one or many contributors of every band which performed. I felt that attendees and music enthusiasts had something to say, and that bands deserved to see feedback in the form of an article, instead of Facebook comments or nested forum posts. 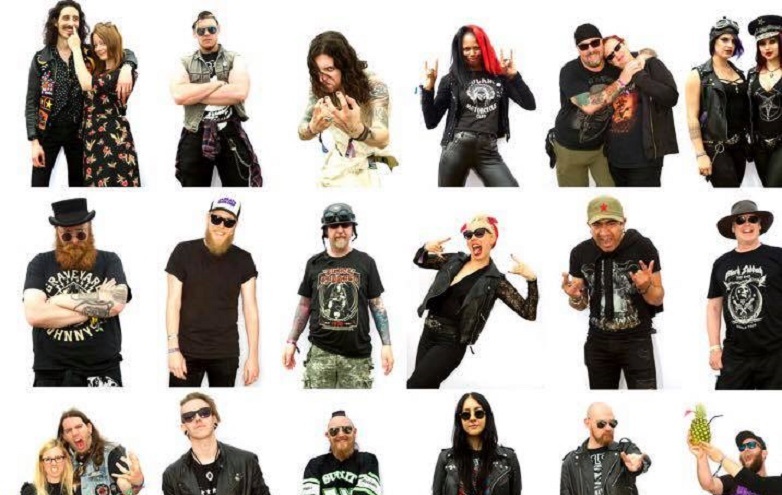 Another major reason was that I thought my friends and I enjoy such a variety of Metal music that it would be great to simply share and recommend music we love. At first we were supporting the scene by covering events, writing album reviews and interviewing bands. All of that was pro-bono, we didn’t charge anyone and didn’t pay anyone either, although we at least provided press passes for contributors and photographers to cover events. By 2011, we were locally well known and we started cooperating with local bands to sell their merchandise at local events with no fee whatsoever. We organized just a few local events ourselves but we were and are still more focused on our platform and our content. Now that we are 8 years into it, we are definitely just a few people running the whole thing because it’s volunteer-based and not everyone enjoys writing about music that consistently. We still have strong relations with local event organizers and other Lebanese Metal music websites, but we are focusing more on growing relationships with international media groups for mutual promotions and support. For example we now cooperate with several labels to receive physical promos and to review and promote their bands, something which wasn’t in play during our early years. 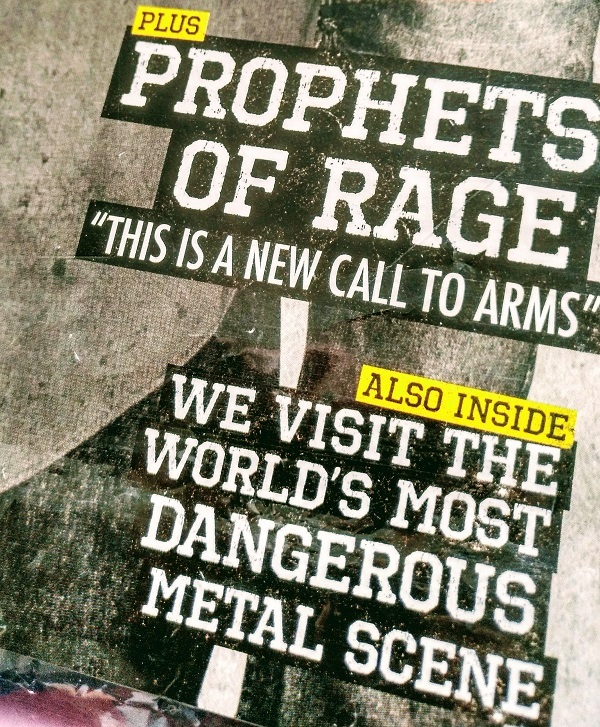 We also attempt to cover international events whenever possible, like providing photographer passes to Wacken for example, all in all working more on improving our reputation in the international Metal community which in return gives more exposure to the Lebanese bands we cover and promote. To be recognized as part of the global Metal press is one of our most important ambitions. 6. What Lebanese bands would you recommend our readers check out & why? I would recommend readers to check out BLAAKYUM, OSTURA and AMADEUS AWAD first as they have been making the most notable global impact in recent years. I would also recommend KAOTEON, INNER GUILT, KIMAERA, WEEPING WILLOW and OATH TO VANQUISH as they also enjoyed international success and are quite popular locally as well. There are just a few names, but I encourage readers to search “Lebanese bands tracks” on our website and find a large variety of bands to listen to. 7. What future do you see for Lebanese Metal? Soundcloud, etc. 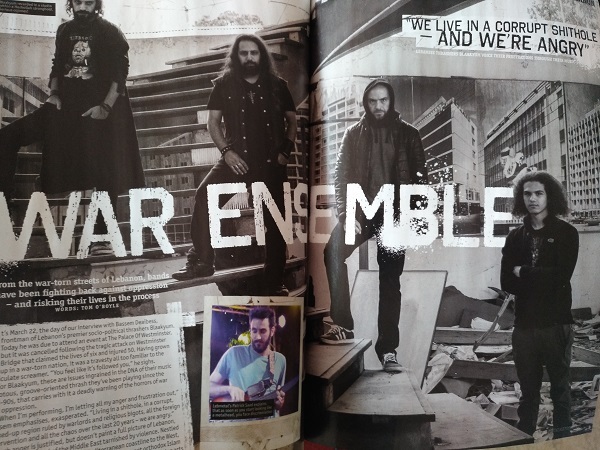 I believe that Lebanon’s location in the world will keep on inspiring rebellious Metal driven by its socio-political conditions, and that will be as authentic as any Metal music out there. 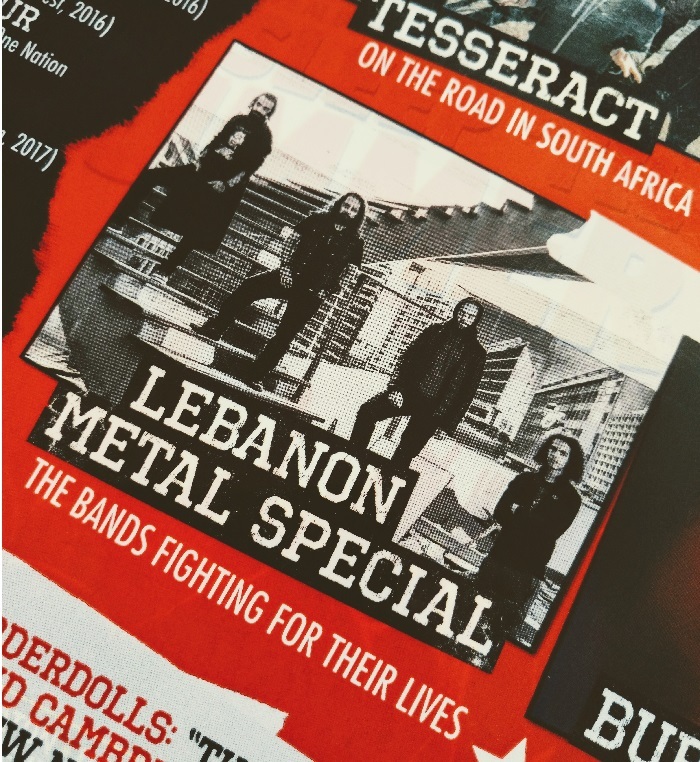 We would like to thank Tom and Metal Hammer for contacting us and for pushing this awesome feature on the Lebanese Metal scene.